A short time ago in a country not far away, a magical company bought one of the most recognisable science fiction franchises ever to exist. Disney’s buyout of Star Wars was accompanied by a host of cancellations and terminations, including the anticipated game Star Wars 1313 and the Emmy award-winning series Star Wars: The Clone Wars. It was a sad day for fans of the franchise, but it was also lined with a glimmer of hope, for Disney is nothing if not expedient and many believed they could reinvigorate this slowly stagnating series. Sure enough, soon after the buyout there was the highly publicised announcement of a new film trilogy, the contentious denouncement of all expanded universe canon, and the promise of more to come- the fans were abuzz. Then, along with new video games and subtle hints at the future of the series, there came the announcement of a new animated television series: Star Wars Rebels. 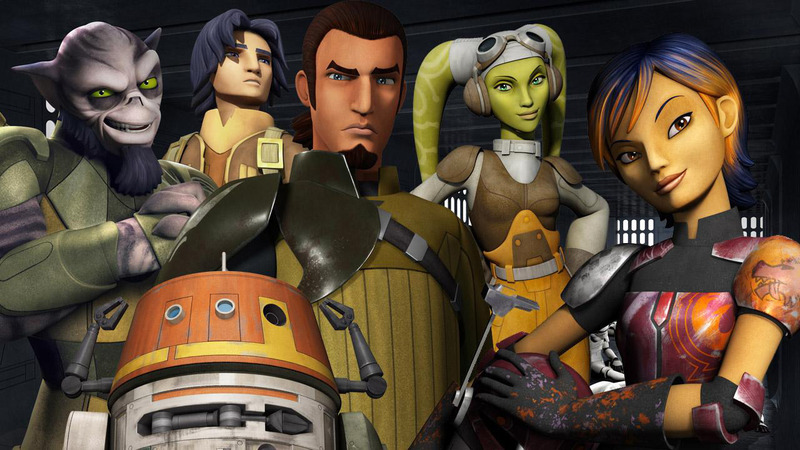 For fans of Star Wars: The Clone Wars, this new show was a beacon of hope, and with Dave Filoni, supervising director for The Clone Wars as its executive producer, the series looked to be in good hands. Since its announcement there’s been a lot of run-up to the series. In particular, four short films were made available to the public as a way to introduce the characters and build hype for the series. Since then, multiple television ads and some online public awareness campaigns have publicised the upcoming pilot, and interest has soared. That brings us to last night, and the premiere of Star Wars Rebels in the form of the one hour movie/pilot episode, Spark of Rebellion. Much like any other Star Wars feature, Spark of Rebellion starts right in the middle of the action in what I think is a great way to kick off the series- all that’s missing is the familiar opening crawl to give a sense of context. The show takes place approximately fourteen years after Star Wars Episode III: Revenge of the Sith, so the stage is set for you to immediately get a sense of the Empire’s presence and how it’s been affecting people’s lives in the years following the end of the prequel trilogy. As we all learned from the movie prequels, however, a beautifully detailed mythos on its own doesn’t make for a good story- for that you need likeable and relatable characters. The good news is that Rebels has these in abundance. 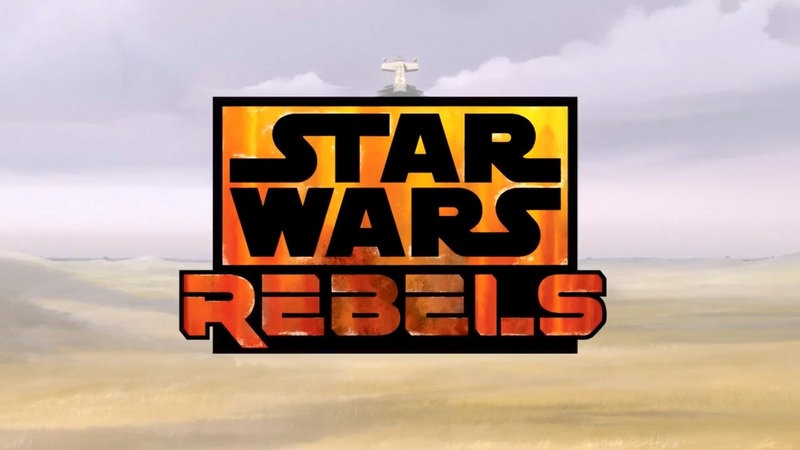 The series follows a group of outlaws (one might even call them rebels…) as they fight back against the oppression of the evil Galactic Empire, and Spark of Rebellion does well to summarize the ultimate themes for the series and introduce the motivations for the characters. I was worried there may be an over-reliance on the short films to get a sense of the characters, but the pilot manages to introduce them well-enough, if a little clumsily, without losing its momentum. Each character seems to have their own agenda and reasons for being there, but their group dynamics and motivation all align to allow them to work well as a team, adding to their believability as a crew as well as helping maintain an interesting chemistry between them. There’s enough range in the written personalities for most people to find a relatable character, and with a lot of room for growth and character development to happen later on it’s a fitting start to the series. How they had time to pose for a group photo, I’ll never know. The Star Wars Rebels pilot episode is separated into two parts, with the animation of each being directed by one of the Lee brothers. Steward Lee, director of part I, has previously directed a number of popular episodes in Star Wars: The Clone Wars; part two was directed by Steven G. Lee, who has worked in the animation department for the popular Star Wars: The Force Unleashed video game series as well as working on visual effects for Star Wars Episode I: The Phantom Menace. On a small scale, some of the physical acting for the character models can come off as a little over-the-top, with hands waving all over the place and every facial expression they can muster for a simple “hello”. But that’s ok, because the animation direction these two brothers provide for the pilot is on a grand scale, designed give it the sense of a mini-film. If all goes to plan, Spark of Rebellion will serve as a platform from which they’ll launch the rest of the series, and as a baseline for the animators to refine their style and characters. 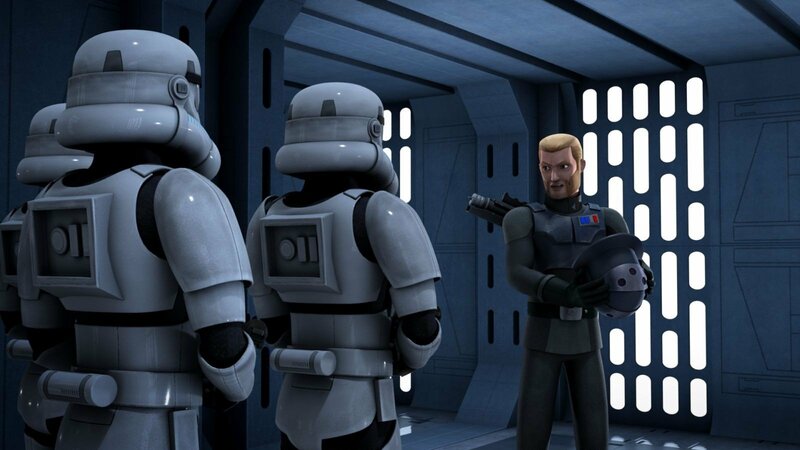 The animation quality, on the other hand, is of a similar standard to what we’ve come to expect from modern computer-animated shows, and continues along the same vein as The Clone Wars. That doesn’t mean it’s a copy-and-paste job, however, as there’s a new feel to Rebels‘ animation that’s somehow different compared to any other Star Wars series to date. It’s subtle, but noticeable, and the fact that the familiarity of the Star Wars universe is maintained in spite of the differences is a credit to the animation department. The colour palette is something that I noticed in particular. 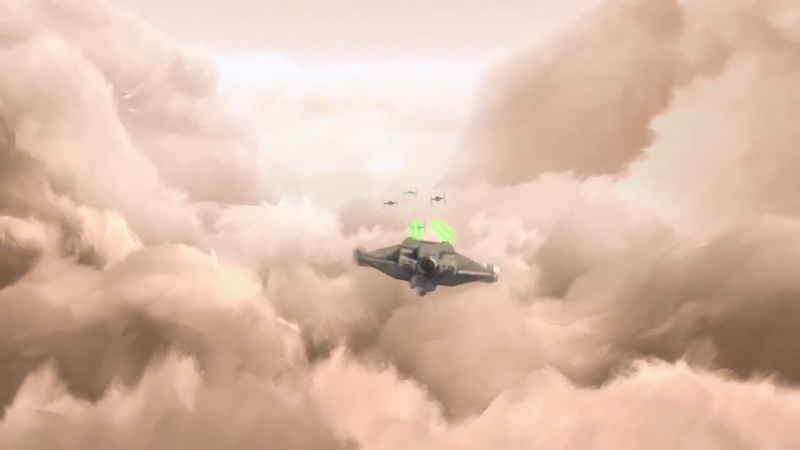 Compared to the brighter tones in past animated features, the tones in Spark of Rebellion are more subdued in a move that helps bring the series in line with its setting: that is, of a galaxy under the darkening shadow of the Empire. The use of earthy tones, particularly browns and oranges, for the rebel scenes contrasts wonderfully with the Empire’s dark blues and grays. To me it feels, mournfully, like the sun setting on the old Galactic Republic; or perhaps it’s the rising sun, the chance for a new hope to win over fear and oppression. Who can say, for sure? All I know is that some of the shots are truly stunning. Despite having two different animation directors, Spark of Rebellion parts I and II were both written by Simon Kinberg, a well-established screenwriter. The two parts flow seamlessly from one to the other, no doubt aided by Kinberg’s script, and this consistency allows the viewer to really get into the story without feeling too jarred by the changing pace and scenery throughout its progression. Assuming it will be maintained in later episodes, this sort of consistency bodes well for the series as a whole, but it would also be nice to see some diversity in the themes for the series. A lot of the content in this first look at the series is fairly binary; it isn’t childish, but it’s definitely written with children in mind, and with such black and white morals on display in the pilot it’d be nice to see a little grey come into the picture as the series continues. I try to avoid giving as many spoilers as I can in reviews, so in terms of the actual story all I’ll say is that it’s well-suited to Star Wars. There’s action, comedy and even a little romance, but importantly there’s the sense of something bigger than just the characters in play, the sense that we’re just scratching the surface of this expansive universe. The series, on the whole, looks to be heading down a different route to a lot of Star Wars projects, in that the action seems to be focused less on the trials of the Jedi and more on the bravado and heroism of relatively normal people. That isn’t to say there isn’t any lightsaber action, and there’s definitely enough involvement of the force within the main story to add that mystical feeling, but it isn’t so much as to detract from the kind of Han Solo-esque action that made the original trilogy so thrilling. I, for one, think it’s a great creative choice, allowing the focus to be on characters the viewer can relate to better. While I was a fan of the way most things were handled in the episode, there were a couple things I do have to nitpick about. Actor Steve Blum’s accent for the character Zeb, for example, was pretty grating- I can only assume it was supposed to be cockney, because he made it pretty hard to tell. In particular, though, the use of British accents, specifically English accents, as an automatic ‘bad guy’ voice drove me to distraction. It’s something that permeates the entire entertainment industry, I know, but Star Wars Rebels falls prey to this cliché worse than most. Every single enemy officer speaks the Queen’s English, and while I can understand the reasons behind this (ranging from a dramatic device to staying true to the older films), it still feels highly unnecessary and over-the-top. Bad accents aside, most of the sound direction for the episode is fine, good in fact, and the score is even better. Musically speaking, if Spark of Rebellion is anything to go by, Star Wars Rebels composer Kevin Kiner is taking the series to new heights. So many of the recognisable motifs from the original films are maintained that, almost immediately, the music allows you to be fully drawn into the Star Wars universe. It helps ground the series in its past greatness and allows fans of the films to feel that familiar chill when John Williams breaks into the scene. Importantly, though, Kiner has contributed so much of his own unique style that the music feels fresh and new, allowing the themes for Rebels to stand out where they need to, breaking away from the past to move forward. It’s the best of both worlds, bringing the series closer to the original trilogy while still displaying a unique feel that represents an entirely new generation of Star Wars. 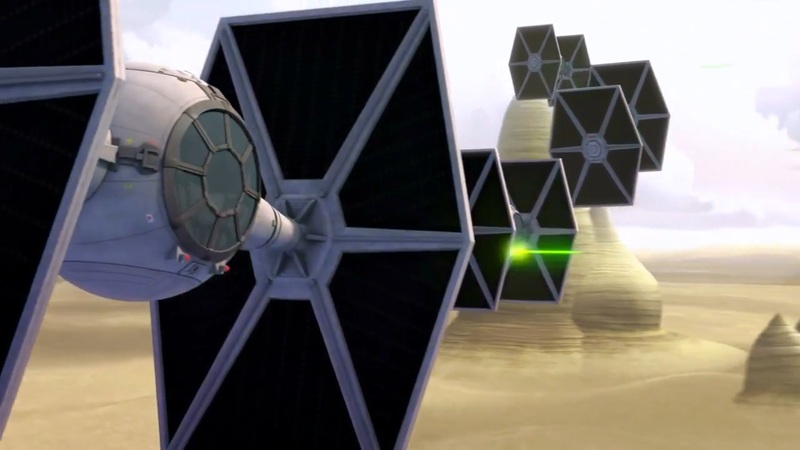 There are a lot of things, in fact, that help ground the series in the Star Wars that we know and love- including, but not limited to: familiar TIE fighter flying sounds; Wookies; Stormtroopers’ inability to aim; some brief glimpses of familiar faces; and a scene with the Wilhelm scream. They’re well layered throughout, sometimes obvious, sometimes less so. None of them stole the scene, but all of them made me smile. In conclusion, Spark of Rebellion is everything I was expecting from this new addition to the Star Wars universe. While this can be a bad thing, living up to some of my fears that it will be targeted too much towards a younger audience, it’s also hugely reassuring, as it lives up to my hopes as well. Spark of Rebellion shows us that the Star Wars franchise still has people looking out for it; people who care about good storytelling, and who work hard to give us a taste of something new while remaining true to the old. Ultimately I have every faith that this spark can give birth to a flame, but how brightly the flame burns will depend on whether the rest of the series builds upon the example set by its pilot or merely follows it.